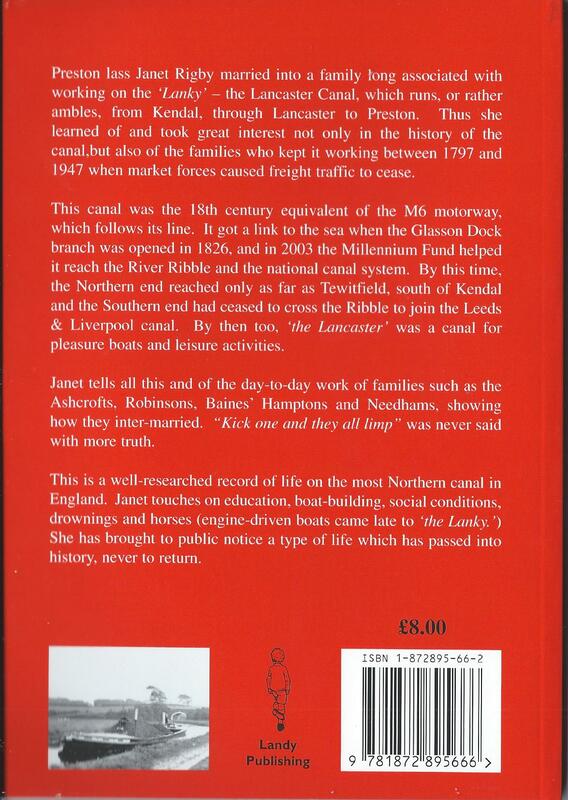 Red Paper-back book by Janet Rigby entitled Life on the Lancaster Canal. Preston Lass Janet Rigby married into a family long associated with working on the 'Lanky' - the Lancaster Canal, which stretches from Kendal through Lancaster to Preston. She has used her experience to produce a history of the people and the canal between 1797 and 1947 when freight traffic was forced to stop. Read about the day-to-day work of the Ashcrofts, Robinson, Baines', Hamptons and the Needhams. The Lancaster Canal known has the M6 motorway of its time in the 18th century was linked to the sea via Glasson Dock in 1826 and in 2003 to the River Ribble and is now enjoyed by pleasure boats and for leisure activities. 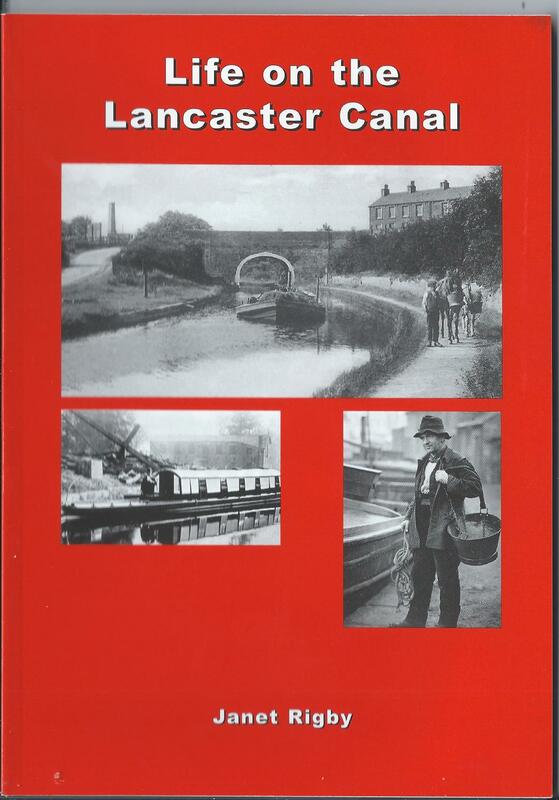 This is a well-researched record of life on the most Northern canal in England. This book originally priced at £8 is now available for £2.00p plus postage and packing at the current postal rates, from FORL shop. Paper-backed book with red cover, weighting, 216 grams, 210 mm x 148 mm in size, with 112 pages.